With the recorded footage, will SPF take action? Meaning will the go all out to get the culprit? Lodge a police report and see if they can get town council to install it. Or else, go get it yourself. Don’t waste anymore time, pls. The more you delay and they will just keep sending all these deliveries up. 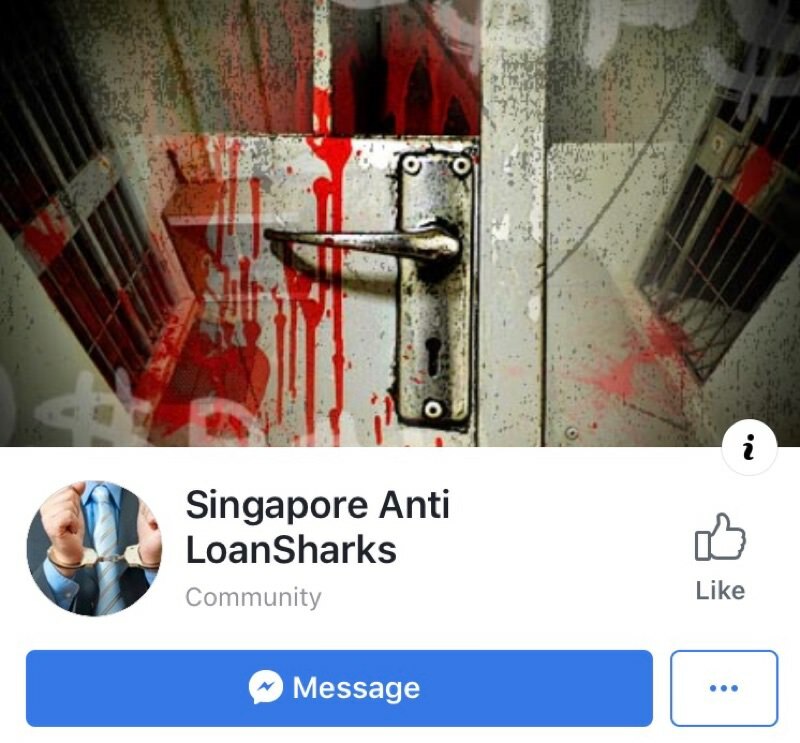 You can see SPF Facebook or the Loanshark website that they have some wanted people? Captured cctv images. Come on, how long you want to keep delaying and let them traumatise you? Don’t let yourself suffer like that. I had chi prev. If install at yr unit door, Don need their approval. If install at corridor premise, need their approval. I had 1 installed at my metal gate. Corridor got 2x install by SPF. I had one named same. I ran also n block his number. So far no sound or shadow. Maybe deter by the corridor camera. Yes, a young msian guy, cahoot w another by the name Jacky. Dun noe when will get harass again. Already reported police. By the way,runner even locked my gate with bicycle lock. Once that happen, police will be more hardworking... it is vandalism offence to paint or paste their "artwk"
Those Don meet r likely msian LS. Local will still send their hunch dogs to chase or verify. U guy had any face to face w their runners when do loans? Where they meet u to verify? Believe those need to b careful to tackle. LML is gonna contact me later .. anyone tried telling the LML that you got scam into loaning from loanshark that's why now can't afford payment ? You think they will care? LML won’t care what stories you will tell them. All you can do is ask them to work out on a repayment scheme. They won’t be interested in any other stories. Tell them you need time and also a repayment plan. As you cant pay back. Anyone seen this group on Facebook? Apparently they are also up to no good. They so called claimed to hunt AL down. But you need to pay a price for it before they entertain you. More like a scam. Also, they allowed some AL to post IC and photos of debtors. They themselves don’t want to report and have the photos removed. No need to seek help from this scammer Facebook account, your own bravery to face whatever that will come is going to help you more than adding more stress to pay this scammer page. Alright . Hopefully they are understanding enough ..